Tountinna meaning the hill of the waves – rumour has it, when the great floods came the only people survived were up on this hill – this is an indication as to how high the summit is, but again there is no pleasure without the pain. Park at the graves of the Leinstermen, the walk begins here. 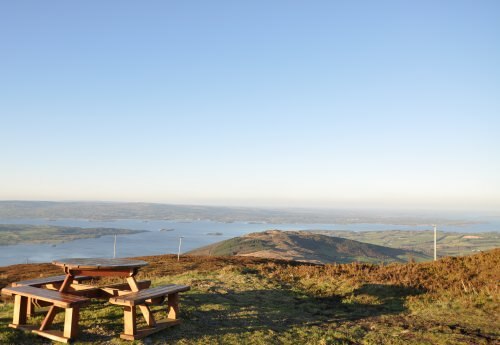 The views from the top are a real treat- you can expect to see the whole Lough Derg valley with views extending from Galway to Kerry and all the villages in between and of course the mighty Lough Derg. Minimum Gear – Sturdy walking boots, waterproofs, rucksack, fluid, snacks and mobile phone.